ANDRITZ Pumps specialises in the design and supply of secure water management solutions for rigs, ships and other offshore industry infrastructure. The company’s products are characterised by high operational reliability and premium-quality material designs, and deliver efficiency throughout the entire project lifecycle. ANDRITZ has been a leading technology provider within the offshore industry for many years, offering a variety of solutions for seawater lift applications. Several ANDRITZ systems such as booster, seawater lift or submersible preload pumps are currently operating successfully on a wide range of rigs and ships worldwide. We also offer a catalogue of customisable submersible motors for subsea applications. These solutions have minimal operating costs and are able to deliver efficient, reliable results when deployed in combination with our maintenance-free pump units. The range of possible applications for ANDRITZ pump systems is essentially unlimited as the systems have been specifically designed for easy installation and removal. In addition, the overall cost of investment is very low as the pumps can be installed without the need for a dedicated onsite facility. ANDRITZ multi-stage, single-flow submersible motor pumps are reliable, maintenance-free and extremely long-lasting solutions designed to deliver consistently high-quality results. Our systems are compatible to use with a wide range of clean, slightly contaminated and abrasive mineral, sea, industrial, mine and cooling water. Our products can be customised for optimum performance according to customers’ unique specification, and we are able to fabricate solutions from cast iron, aluminium-bronze or stainless-steel depending on the intended area of operation. Pumps can also be equipped with innovative modular shaft technology (MST) and heavy-duty mining (HDM) technology to achieve even greater results. ANDRITZ’s water-filled and water-cooled submersible motors have been carefully designed to deliver consistently strong performance in high-temperature environments, special voltage scenarios and other extreme operational conditions. Our submersible motors feature an efficient and economical rewindable design, making them the ideal driver solution for submersible deep well, bottom intake and seawater lift pump systems, in addition to other assorted subsea machinery units. These three-phase asynchronous systems are also equipped with squirrel-cage rotors and hard-wearing mechanical shaft seals for heavy-duty applications, and can be fabricated from stainless-steel, cast iron or bronze depending on the intended field of deployment. They can also be installed vertically or horizontally for additional operational versatility. In addition, ANDRITZ’s submersible motors are integrated with interior permanent magnet motor (IPM) systems and cutting-edge modular cooling technology (MCT) in order to ensure consistently reliable and efficient cooling. ANDRITZ single-stage, axial split case pumps have been specially optimised to allow the effortless transportation of pure, slightly contaminated and / or aggressive liquids. Our cost-effective and low-maintenance split case pumps have been proven to deliver economical results and long service-life. The systems can also assist in the conservation of energy by offering efficiency levels of more than 90%. All pumps are fitted with a powerful double-flow radial impeller and in-line casing to ensure very favourable net positive suction head (NPSH) values and dynamic suction performance. Pumps can be installed either horizontally or vertically depending on the intended scenario, and the motor can be positioned on either the left or right side during horizontal deployment for additional versatility and easy operation. ANDRITZ multi-stage high-pressure pumps are designed to deliver the highest possible degree of flexibility. These systems can be manufactured to order in cast iron, bronze, aluminium-bronze or stainless-steel, and are available in both horizontal and vertical configurations. All of our single-stage centrifugal pumps feature wear-resistant designs and are fitted with a hydraulic system that is optimised for its own unique size and specification, ensuring peak performance and operational efficiency. They can also be equipped with either closed, semi-open or fully open impellers depending on the intended application. ANDRITZ pumps are manufactured in strict accordance with EN 733, ISO 2858 and ISO 5193 standards to ensure long-lasting build quality and performance. We are also able to supply bespoke products fabricated from different combinations of materials to address a wide range of varied operational requirements and scenarios upon request. ANDRITZ Pumps is part of the ANDRITZ Group’s hydro business area. The company is able to provide an extensive portfolio of standard and customised centrifugal pumps and submersible motors for a wide range of different applications and industries. Our high-quality solutions are developed based on decades of experience in the manufacture and design of hydraulic machinery, as well as comprehensive knowledge of pump engineering water management processes. ANDRITZ Pumps is able to provide everything customers’ projects require from a single source, from development work and engineering design through to after-sale services and expert training programmes. 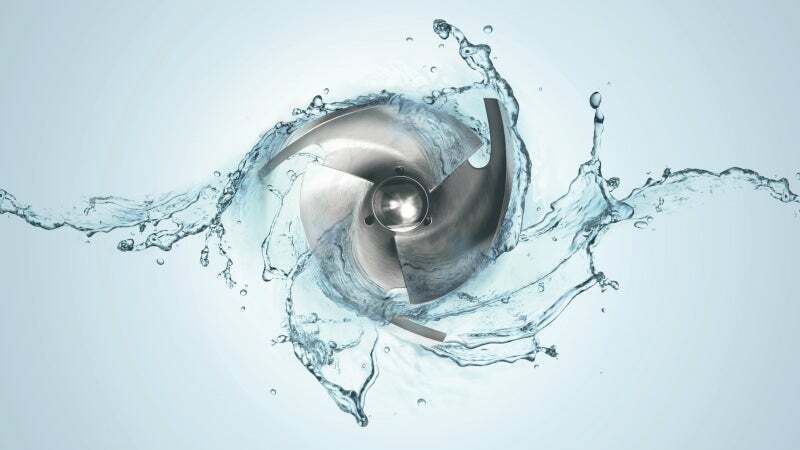 Austria-based water management specialist ANDRITZ is a leading global supplier of environmentally friendly equipment and solutions for marine applications.